Called “A Celebration of Life” by organizers, the massive gathering for the slain musician and community advocate is set for 10 a.m. local time. Tickets were made available free of charge to California residents earlier this week. They were gone in 30 minutes. The Staples Center, home to the Los Angeles Lakers and Clippers, accommodates about 21,000 people, and security will be tight: Attendees will be subjected to metal detectors and visual inspections, and no backpacks or large bags will be permitted in the venue. Cameras and recording devices are also prohibited, per the family’s wishes. Cable network BET announced it will broadcast the event and stream it. Streaming music service Tidal is also making the memorial available to both members and nonmembers. The Eritrean-American rhymesmith was beloved not only for his Grammy-nominated music — he dropped a dozen or more mixtapes before releasing his studio debut, “Victory Lap,” to much acclaim last year — but also for his activism and entrepreneurship dedicated to uplifting his community. Those who knew him say he cherished the Crenshaw District where he grew up. He owned businesses there, invested in the community, paid for funerals and kids’ shoes and counted several Los Angeles rappers among his influences and collaborators. Nipsey was gunned down March 31 in Los Angeles near the clothing store he owned at Slauson Avenue and Crenshaw Boulevard. Eric Holder, a man Nipsey knew, repeatedly approached the rapper that Sunday afternoon before returning with a handgun that he “purposely and repeatedly fired” at the rapper, killing him and injuring two others, Los Angeles police Chief Michel Moore said. 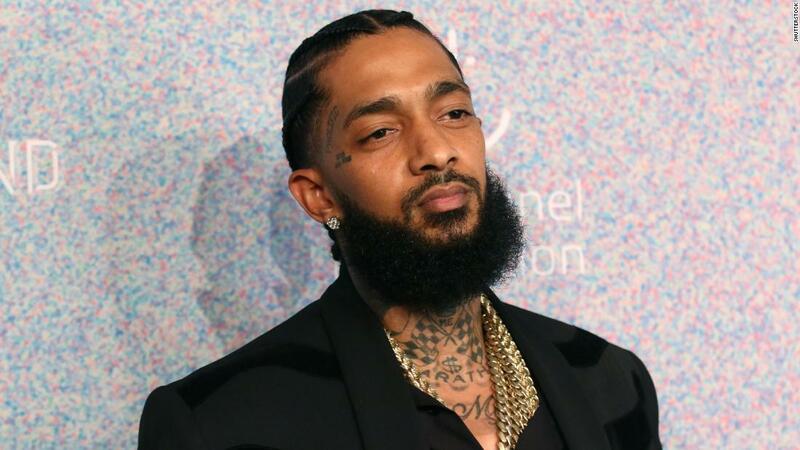 Los Angeles City Councilman Marqueece Harris-Dawson announced Tuesday that the intersection of Crenshaw Boulevard and West Slauson Avenue, which hosts The Marathon Clothing store, where Nipsey was shot, will be named Ermias “Nipsey Hussle” Asghedom Square in honor of the artist. US Rep. Karen Bass also honored the rapper, making Nipsey’s contributions to the community part of the Congressional Record this week. The rapper’s family has been left to mourn him, including his girlfriend of more than five years, Lauren London, with whom he shared a son. Hussle also had a daughter from a prior relationship. ← I tried the 30-day ab challenge so you didn’t have to. Here’s why I’m never doing it again.